If you’ve had several Huntersville NC roof repairs and they aren’t lasting as long as they should, it may be a sign that you need a roof replacement. If you’re looking for the highest-quality roofing contractors Huntersville has to offer, then you just may have found your match. We can help you upgrade your roof without breaking the bank. Our team works directly with insurance companies to make the entire process as hassle-free and budget-friendly as possible for you. Contact us today for a FREE on-site consultation. We will assess your property in person to determine if you need roof replacement services, and if so, we’ll help you determine the best course of action to ensure your property is adequately repaired. We offer free roof inspections to residents throughout Huntersville and Charlotte NC, as well as surrounding communities, including Concord, Statesville, Harrisburg, and Cornelius. Simply give us a call at (704) 508-9870 or fill out the form on this page! Scroll down and keep reading for more information about our Lake Norman roof replacement service. Not to mention all the money you’ll be saving since repairs will no longer be needed to maintain your roof for two or more decades. Our workmanship is backed by a warranty that will give you peace of mind. Additionally, our Lake Norman roofing contractors are fully licensed and insured, so you can rest easy knowing your home is in good hands. Leaking and/or moisture. Of course a leak is the #1 sign that something’s up with your roof and one of the most common problems we’ve encountered with our clients in the past. Roofs generally don’t require much maintenance on your part, but over time, age and harsh weather conditions can take their toll. 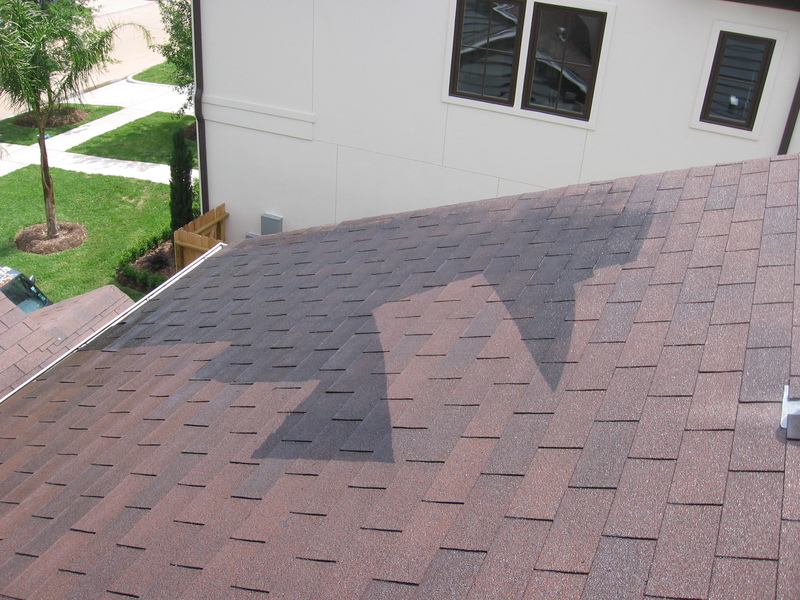 Or if you roof was improperly installed, you may experience a leaking problem. If your roof is leaking, you may need a small repair, or it could warrant a full replacement depending on how much damage your home is experiencing. You may also find signs of excess moistures such as wet insulation or mold. In either case, only our experienced roof technicians can advise you on exactly what will be necessary to fix the problem, and we will do so in person when you request a FREE on-site estimate for your Lake Norman roofing services. Poor installation. Even the strongest roofs will eventually fail and need to be replaced, but poor installation could result in you needing a roof replacement company long before your warranty has expired (assuming your roof came with one, as it should have.) As a reputable roofing Huntersville NC company, we can help you get the compensation you deserve to replace a poorly installed roofing system. We even work directly with your home insurance company to make the process as easy and hassle-free as possible. No maintenance schedule. Homeowners don’t really pay attention to their roof until or unless a problem occurs, and by then it’s often too late to undo damage that could have possibly been prevented. By undergoing regular maintenance, you can ensure that you curb damage before it happens. Many newer roofing warranties are also voided if a regular maintenance schedule is not followed. Be sure and read your warranty documents and follow the instructions for routine maintenance so that you don’t run into this problem. If you don’t have a maintenance program in place, our Huntersville roofing professionals can help you implement one, and if you hire us for a roof replacement, we’ll be sure and include this as part of your overall roofing services package. Clogged gutters. In addition to Lake Norman roofing maintenance, you should have a good system in place for maintaining your home’s gutters to prevent long-term damage to your roof. Gutters are attached to wood, and when they become clogged, they can cause mold to build up which can weaken your roof structure if not properly attended to. Cleaning your gutters regularly can help prevent any problems. When it comes time to replace your gutter system, our team of professional contractors can perform a comprehensive installation that will ensure the quality of your entire roofing structure is maintained for many years to come. Damaged roof flashing. Made from a variety of materials, including copper, galvanized metal, stainless steel or even plastic (the cheaper alternative), flashing serves to water toward the gutters so as to prevent moisture damage to your roof over time. It is typically laid around chimneys and dormer windows, as well as in the valleys of your roof and can become damaged over time, which leads to roof leaks. In fact, flashing points are where an estimated 95% of roof leaks occur. This is why regular roof inspections and maintenance are necessary to prevent damage that may happen as a result of poor flashing. Natural disasters. We all know how erratic the weather can be in the Carolinas! Between hurricanes, tornadoes, and harsh winter storms, your roof can easily incur damage from the elements. In that case, our roof repair specialists can help you fix any problems that you may experience or determine if you need a new roof altogether. If you’ve recently experienced roofing leaks or other problems from a natural disaster or storm, give us a call today or fill out the form on this page for a FREE estimate! Ponding water on the roof. Ponds belong in the ground, not on the roof of your home! Excess ponding water, if left unattended, can cause major structural damage, especially when compounded by the sun’s UV rays over many years. If you notice ponding, call a Huntersville roofing company as soon as possible to get it repaired before a full roof replacement becomes necessary! Damaged or loose roof shingles. Cracking, curling, and even loosening of asphalt shingles occurs naturally over time, but it should not be happening if you recently had a new roof installed. 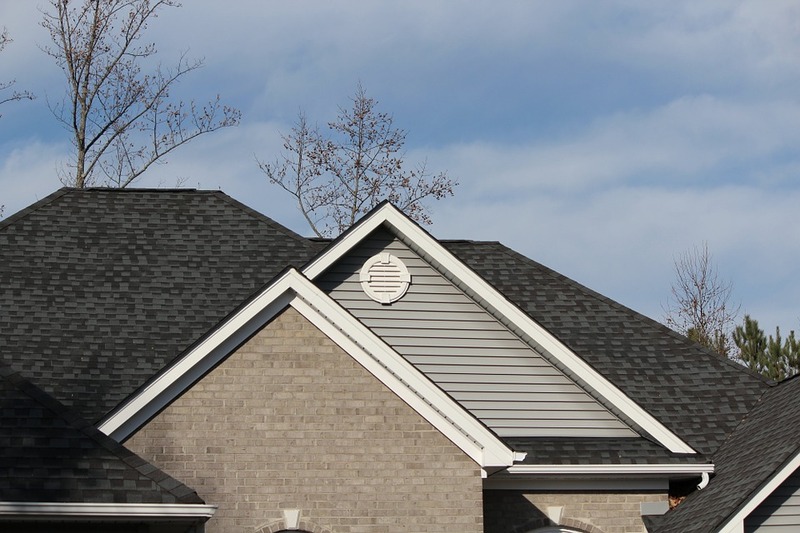 If you notice shingle damage, you may be in need of a Huntersville NC roof replacement. Or, you may simply want to replace your roof for appearance’s sake. Asphalt shingles come in a variety of colors and can be customized to suit your needs. If you’re looking to upgrade your home, our team of roofing experts is here to help guide you through the process. Give us a call today, or fill out the form on this page to request a free estimate for roof replacement in Huntersville NC! Your ceilings have water spots. If you begin to see wet spots on your ceilings, you likely have a roof leak that needs fixing. 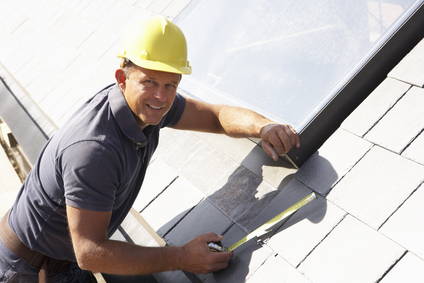 Whether you need a small inexpensive repair or a full-scale roof replacement can be determined by our expert team. Either way, don’t let the damage get any worse than it already is! Give us a call as soon as you notice something’s not right, so we can inspect your roof and prevent further decay! Your insulation is damp. When insulation gets wet, it loses its effectiveness. Rather than saving you money on energy costs, it becomes a great expense to continue heating and cooling your home. If you have wet insulation, it’s usually an indicator that your roof is leaking and you may need to have it repaired or replaced depending on the age of your property. You have damaged shingles. Are your roof shingles curled or cracked? After decades of drying from the sun’s heat, this happens naturally, especially as your home ages. Not to worry. A replacement can fix it and ensure you don’t suffer more long-term wear and tear. As shingles get weaker, your roof becomes more susceptible to weather damage and can cause leaks, resulting in more costly repairs. Don’t let that happen to you! Our summers are getting hotter every year. If you’ve noticed cracked shingles, give us a call and we’ll come out and inspect your roof for free. You notice increased mold and pests. This often results from wet insulation, which creates a breeding ground for insects and microorganisms. If you’ve had mold problems or noticed an increase in pest infestations in your Huntersville home, it may be time for a roof replacement. Give us call today at (704) 508-9870 to start the process with a free roof inspection, or fill out the form on this page to request an on-site consultation.